No tools installation and easy removal can be of value to any home improvement project, but especially in rentals. Whether you’re aiming to preserve your security deposit or plan for a stress-free move out, renter-friendly upgrades can be a great option. Today we are bringing you the top 10 renter-friendly upgrades for a great impact without damaging your space. This self-adhesive paper is most commonly used as shelf lining, but can transform your space at a low price. 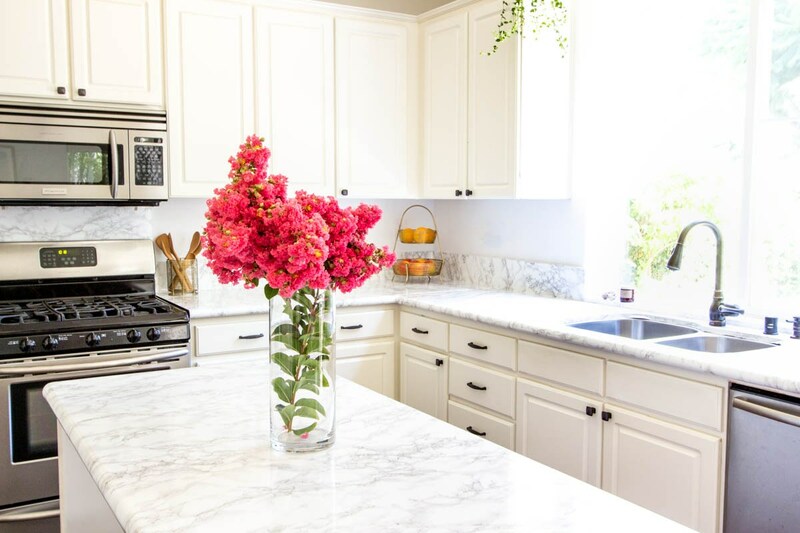 Printed contact paper like the marble print shown below is a great option for covering countertops and furniture surfaces that may need a facelift. 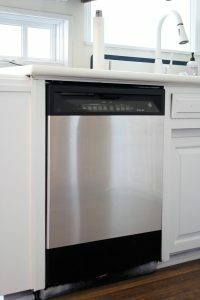 Stainless steel contact paper is also a brilliant option to update the inexpensive appliances often found in rentals to give your kitchen a modern look. 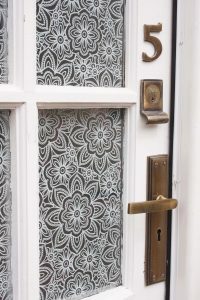 Although this DIY can take some time to get the contact paper mounted and smoothed out properly, the impact it has on your space is unparalleled. We were wowed when we saw this product! Peel and stick tile is out there and it can give you the backsplash of your dreams on a budget. 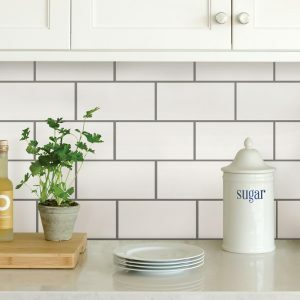 These tile look-a-likes can be easily trimmed with a utility knife and remove with the heat from a blow dryer. The color and pattern options are endless and we just can’t get over how gorgeous the results are. This one may be a no-brainer but it bears repeating. Room dividers can divide a space, provide additional storage, cover an unsightly area, and add visual interest to a room. 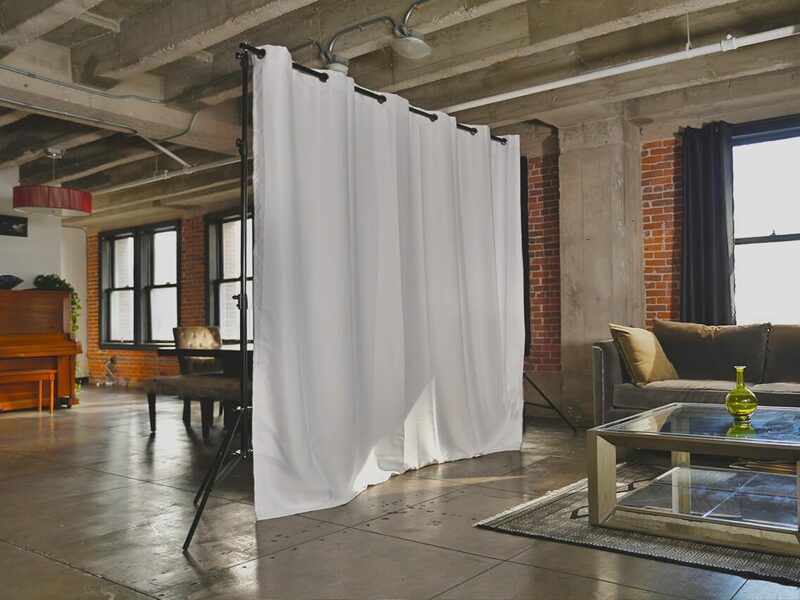 This can be a must-have for studio apartments to break up the space. These come in a variety of shapes, sizes, and styles to fit any decor vibe and, as a bonus, a rental upgrade you can take along with you to your next apartment. 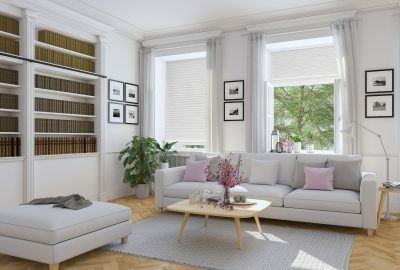 You can even DIY an affordable and customizable version by hanging our Original Pleated shades side by side, hanging from a freestanding rod or from the ceiling. 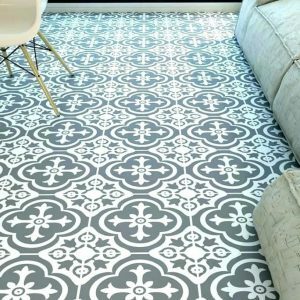 This may be something to look in to for longer-term rentals, but self-adhesive flooring is a great option if you cannot stand the flooring that came with your apartment and want something that better matches your aesthetic. 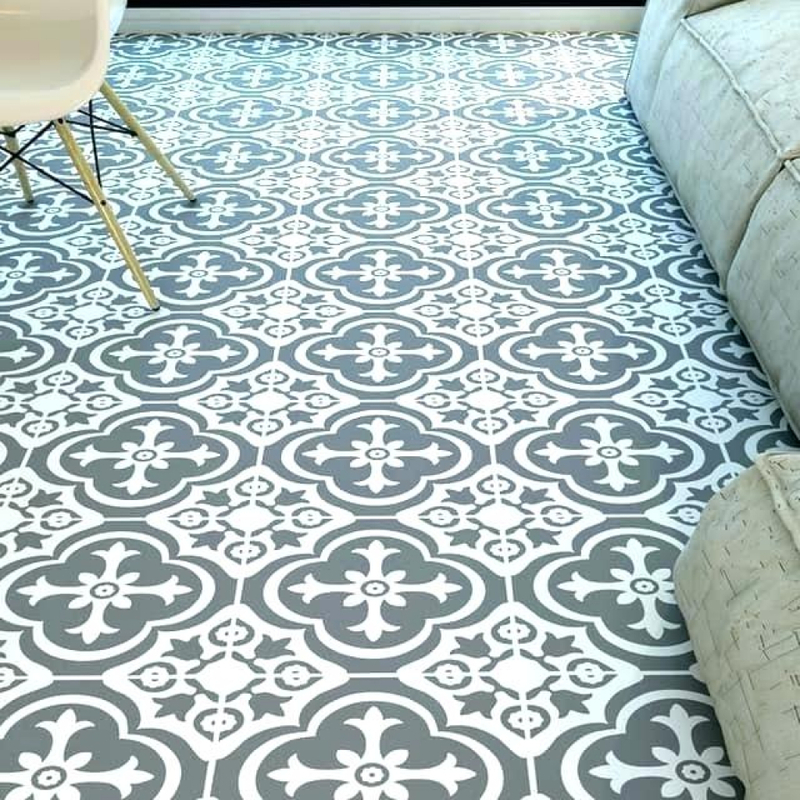 These adhesive floor panels come in everything from decorative tile to faux wood. If you’re looking to test it out, try a fun patterned tile in your bathroom. 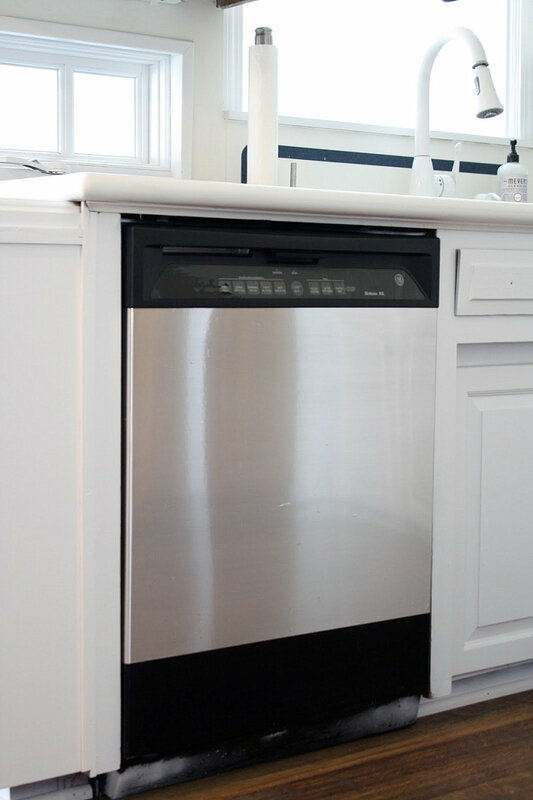 This low-maintenance DIY is perfect for renters! 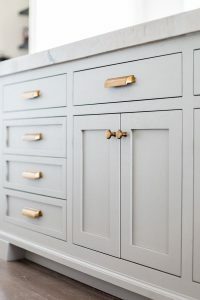 Try swapping your boring drawer pulls for something more fun. Simply unscrew the existing pulls, place them in a labeled box and reinstall them when you move out. Plus take your new decorative pulls with to install in your next apartment. We love the simple brushed brass pulls shown below or these sweet vintage-inspired knobs from Anthropologie for a more ornate statement piece. 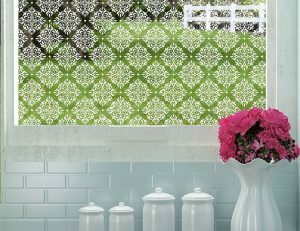 Say goodbye to that blah “renter’s white” paint and hello to fun patterns and prints with peel and stick wallpaper. 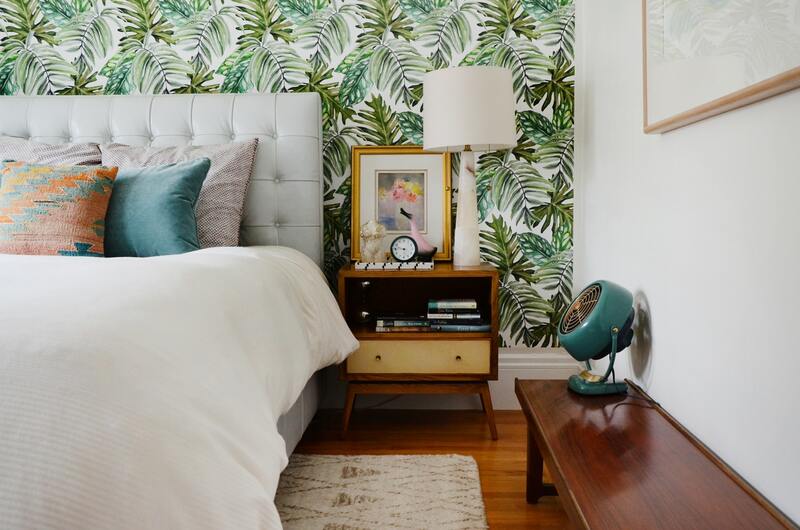 This can be a great option for an accent wall in a bedroom, desk nook, bathroom, or anywhere you’re looking to spice up your space. Just be sure to opt for a renter-friendly removable product to ensure easy take-down. This upgrade couldn’t be easier, can be taken with you, and can be installed in SECONDS. For those of you with an eye-sore of a shower door, you can use a tension rod to hang a shower curtain in front of it. 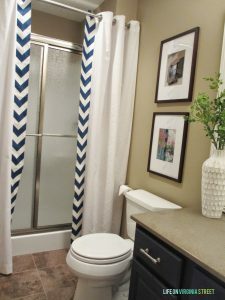 When the curtain is closed it looks like you have a completely different bathroom and it can really update the space. Bonus tip: hang the shower curtain as high above the shower door as you can to elongate the room. 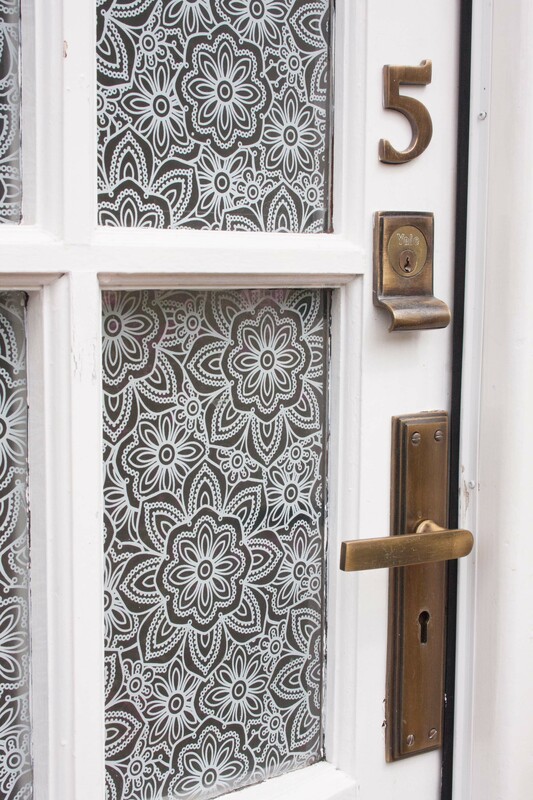 Decorative window film can add privacy and introduce a fun pattern in to your space all while being a renter-friendly option. This upgrade is perfect for apartments on the ground floor that may have an outward facing window with a lot of foot traffic nearby. Window film can even be paired with Redi Shade products to offer privacy when shades are open and closed. 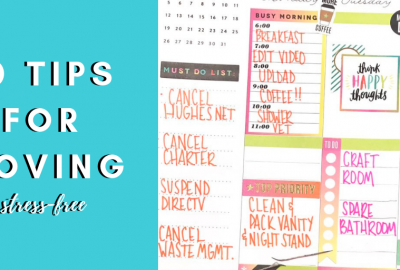 Command Strips; the holy grail product for renters. These adhesive tabs allow you to hang anything and everything without damaging your walls. 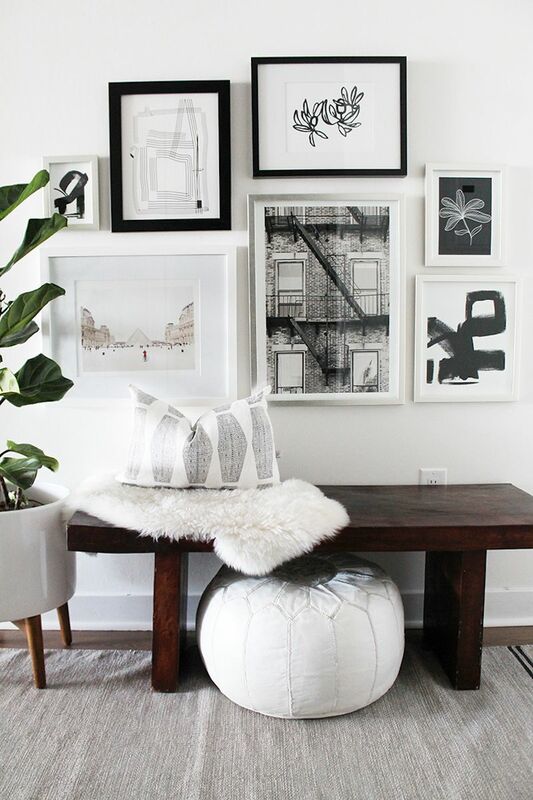 Gallery walls like this one are a great choice for renters as they cover a blank wall without breaking the bank. When hanging a gallery wall in a rental, Command Strips are a must-have. Last but certainly not least we have Easy Lift shades. 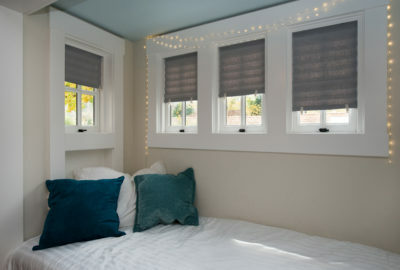 These window shades were designed with renters in mind featuring a custom look in an affordable, trim-at-home format. They’re a great option to swap out or hang in front of unattractive blinds. They’re also offered in several light controls and styles to fit your needs and decor style.